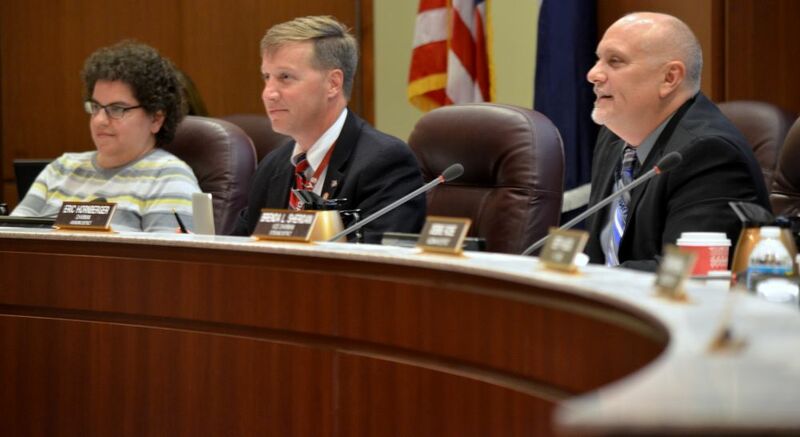 In a surprise move Monday tonight, the Loudoun County School Board elected a new chairman. During the annual organizational meeting, second-term School Board member Jeff Morse (Dulles) was elected by his colleagues to lead the nine-member board. Morse was nominated to the position by Eric Hornberger (Ashburn), who has served as the board’s chairman since he was first elected to the panel in 2012. The board re-elects a chairman every January. 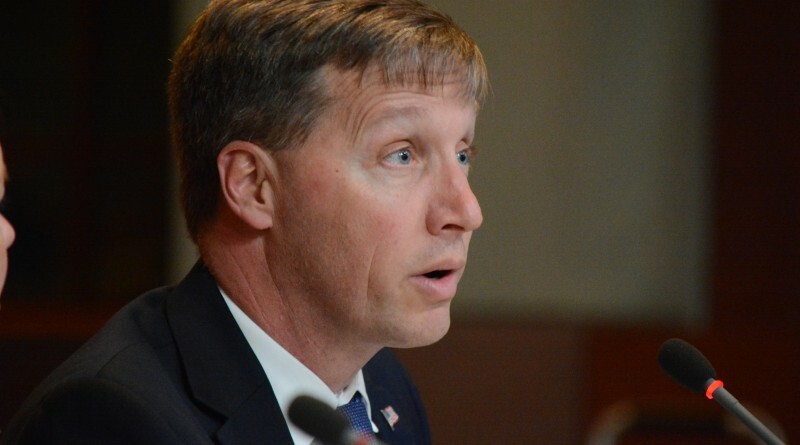 In an interview Tuesday, Morse noted that Loudoun County Public Schools has big things on the horizon, including the Academies of Loudoun, set to open in fall of 2018, and major enrollment growth, especially in his district. He also said he’d like to see an increase in teachers’ professional development, and continue expanding One to the World, which is an initiative of Superintendent Eric Williams. It encourages teachers to teach classroom lessons that empower students to make real-world impacts. Morse is a 14-year resident of South Riding. He served on active duty in the U.S. Navy for 20 years, retiring as a commander in 2006. He is a lead associate for Booz Allen Hamilton, managing and procuring technology and services for the federal government. His wife, Karen, is a kindergarten assistant at Hutchison Farm Elementary. The couple has three children; two attend Loudoun public schools and one attends Virginia Tech. The vote to appoint Morse was unanimous from the board members present; Joy Maloney (Broad Run) was absent for the vote. This article was updated Tuesday, Jan. 10 at 3:37 p.m. to include comment from Chairman Jeff Morse (Dulles). That is a positive development. Have fun chairing tonight’s meeting. It will be interesting.